Communicating with users via SMS is an excellent way of interacting with people informally. 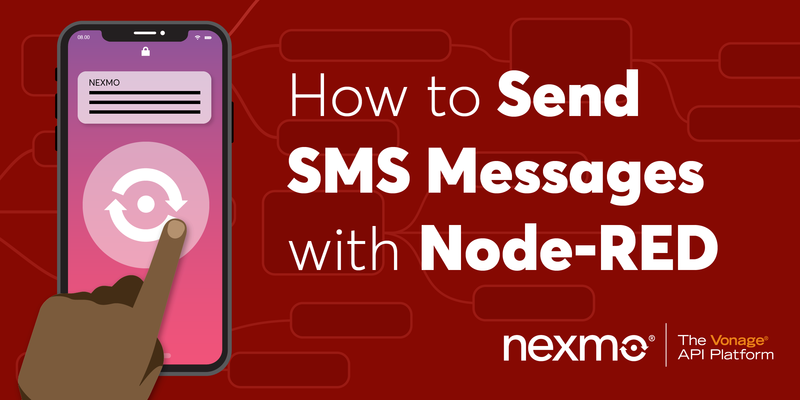 Whether you are automating response to your most-asked questions, running a competition, or connecting with your users over something completely different, SMS is an excellent choice. In this post, we’ll look at a fun and trivial example while we look at the detail of how to achieve these tasks. 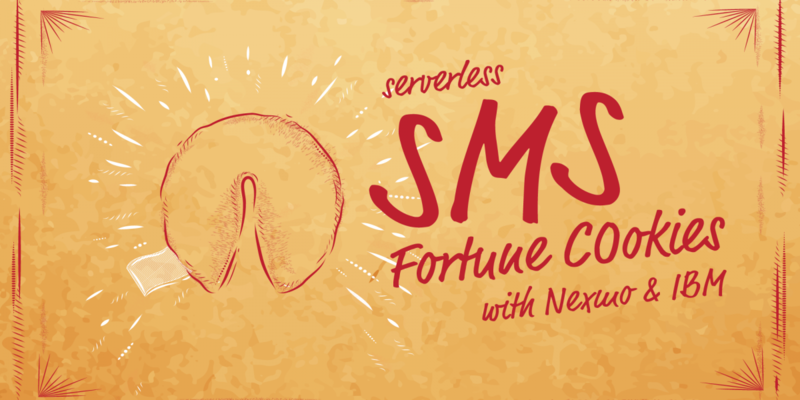 We’ll build a system that responds to an incoming SMS with a “fortune cookie”. These are the greetings used in the “message of the day” feature on old *nix workstations, think of it as a geekier version of the adorable loading messages you see on Slack. Serverless is an ideal choice for a task like this where each incoming message is independent of all the others. Serverless platforms like IBM Cloud Functions (used in this example), Amazon Lambda or Azure Functions all scale horizontally when under load. The big benefit is in the pricing model; Serverless platforms only charge for the time your function is running, so there is no need to pay a fixed fee for a running server. As a bonus, there are fewer steps involved to deploy a function than to set up a server, making it quicker to get started. The bx command line tool for IBM Cloud and wsk Cloud Functions plugin – use the setup instructions. Log in and set your target workspace before you move on. "Your true value depends entirely on what you are compared with. " Save the content in index.js and take a little look at the main() function at the top. It’s a few lines of code to grab that big array of fortune cookies (from Ubuntu’s fortune-mod package, no less) and pick one at random, before logging and returning it. If you’d like to edit the getCookies() function to offer alternative fortune cookies, go ahead! In serverless programming, “functions” are usually referred to as “actions”. To get that action into the cloud, we’ll first create a package to put it in. 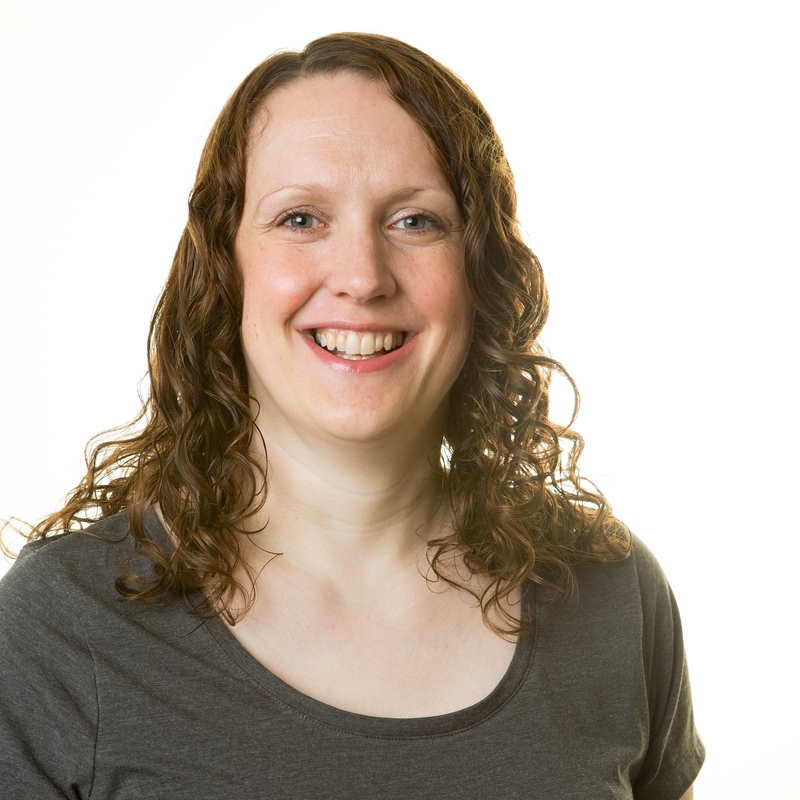 A package helps to keep actions together and allows them to share parameters. Again, look to see the “OK” that indicates that the command completed successfully. We’ve deployed a function. It’s called incoming (since it handles incoming SMS) and it exists within the sms-fortune package. The other arguments here are --kind to say which version of JS to use and --web raw to immediately enable us to make a web request to this action. Calling update on an action that doesn’t exist triggers create instead, so this command works regardless of the current state. Even better: it still works if you want to edit index.js and deploy again. Copy the URL from the response to the above command. You can go ahead and use cURL, your browser or any other HTTP client to make a request to that URL. If everything has gone to plan, the response should include a witty remark. Repeat the request a few times for further wittiness if desired. We’re all set up with the endpoint that our webhook should point to, so let’s go ahead and wire that up. You can also check out our building block for receiving SMS for reference. Leave this running (I like to put it on my second monitor if I have one) and use the same curl/browser request from before so you can see what happens when the function runs. As you may notice, it’s not real time, and we sometimes need to wait a few seconds for the logs to appear. Now we can tell when the function is running successfully, let’s try making it our endpoint for SMS. Visit your Numbers page on the Nexmo dashboard and click “Edit” on the number to use, and under “SMS” paste the action URL into the “Webhook URL” field. Don’t forget to click “Update”. We’re all set: send an SMS to your incoming number, and watch those logs to see the action run! At this point, we’ve deployed a serverless action and set it as the endpoint for the incoming SMS webhook to use. To be able to reply to the user that sent the SMS, we need to inspect the data coming in with the webhook to see who sent it. The IBM Cloud Functions (and indeed Apache OpenWhisk in general) actions accept a single parameter, which in this example is called params. If you add console.log(params) to your code, you can see everything that we receive when the function runs. Checking the API docs for incoming SMS, we can see that the phone number we want to reply to arrives as a query parameter called msisdn. While still watching those logs, Send an SMS to your incoming number again. This time, you should see the line Destination: and the phone number you sent the message from appearing in the logs. We’ve got the information we need to be able to text back. We can receive the incoming SMS by webhook because we had to set the URL that the data is sent to by logging into our account. Before we can send the reply SMS though, we need to be able to authenticate. 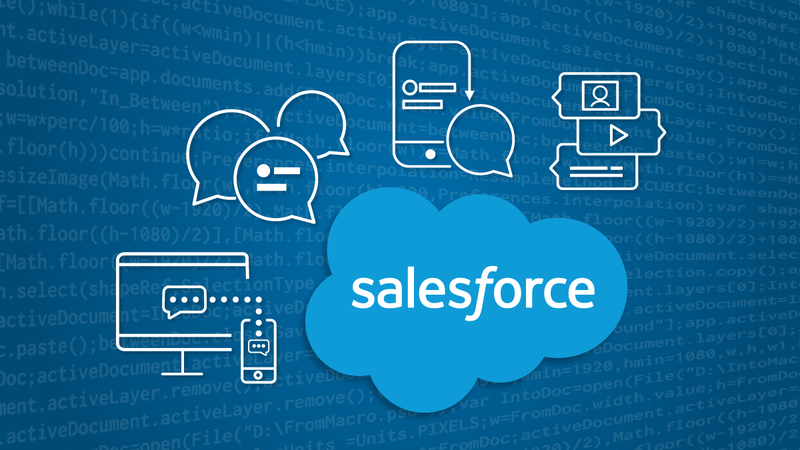 For this section, you need your API key and API secret handy – these are visible at the top of your Nexmo dashboard. To follow best practice for handling secrets like these, we’ll avoid writing these values to files at all and instead we’ll use environment variables. The idea is that we set the variables for the current environment; if you open a new terminal window or reboot your computer, they do not persist, and you’ll have to set them again. Now that our current environment knows the secrets, we can use them in our commands. These parameters aren’t in our code, but they’re in the package, so they are available to our action since it is in the same package. If you add the console.log(params) command to your action now, then deploy it and watch the logs while you run it, you’ll see these values. We now have all the information we need to send the reply SMS: the cookie, the phone number, and our API credentials. 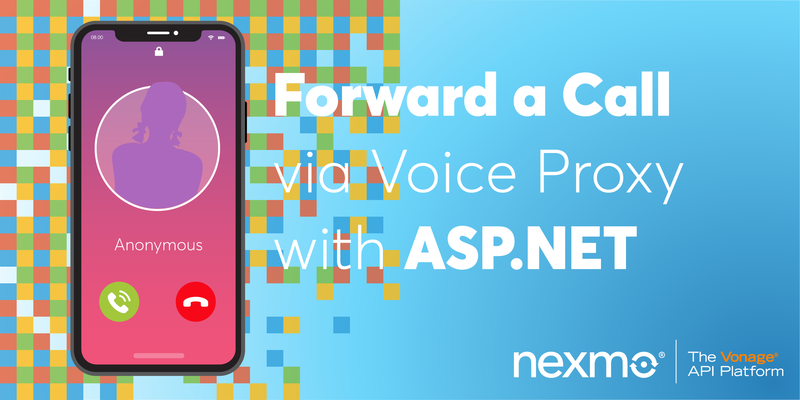 To return an SMS to the same number that sent a message to us in the first place, we’ll need to make an API call; this section deals with this final piece of the puzzle. You may also find our building block for sending SMS useful as a reference. Adding libraries creates a little bit more complexity than we’ve had so far with everything in one index.js file, but it’s nothing we can’t handle. When we deploy our action, we need to include the libraries as well as the index.js file. To achieve this, we can zip up everything we need into one file and deploy that instead. Since this is a multi-step process (okay, two steps, but still) I like to create a script to handle it. This way, I never forget to recreate the zip file, or forget to push it to the cloud, or whatever else there is to forget! This script deletes the old zip file, adds our file and requirements to a new one, and then runs the same action update code that we were using earlier but supplying the zip file instead. Let’s update index.js to use our lovely new libraries and then use either this script or the commands shown above to deploy the action. SMS is easy for users, and hopefully, from this example, you’ve seen that for developers it is also pretty achievable. The code here receives SMS and identifies the user, then sends an SMS back to the same user. It uses a serverless backend because it’s cheap to run and easy to get started with. This example returned some trivial content, but I’m sure it sparks ideas for your applications. For example, you could parse the incoming message and give different responses based on it, or make a call to an API to get content rather than having it hardcoded as we did in this post to keep things simple. The sky is the limit, and we would love to know what you make!